High blood pressure or hypertension is the increased amount of blood pressure against your arteries. With time, elevated blood pressure can damage your blood vessels and lead to a stroke, kidney disease, heart disease and other health serious issues. Hypertension is also referred as a silent killer since it doesn’t have any unique symptoms and can go untreated for years. Strawberries and blueberries include anthocyanins, which are antioxidant compounds that help to lower the blood pressure. Studies have shown that the intake of a high amount of anthocyanins can reduce the risk of hypertension by 8% as compared to a low anthocyanin intake diet. Eat berries as dessert, a snack, or add them in a salad, oatmeal or smoothies. Fenugreek seeds and leaves are loaded with a high amount of soluble fiber, which aids in decreasing cholesterol level. A diet that is high in fiber has been linked to steady levels of blood pressure. Fenugreek seeds and leaves contain low levels of sodium. However, keep in mind that while fenugreek is efficient in lowering blood pressure, it can also reduce your blood sugar, which means it is best not to consume it every day. Beetroot includes a high amount of nitric oxide which helps to open up the blood vessels and lower blood pressure. Studies have found that nitrates in beetroot juice lowered blood pressure of participants in merely 24 hours. It is therefore best to include beets in your diet by making beet juice, cooking the whole beetroot or eating it in salads. It also tastes delicious when added in stews or stir-fries and when roasted or baked. Loaded with nitrates, leafy green vegetables also help lower blood pressure levels. Studies have suggested that consuming two servings of nitrate-rich vegetables daily can decrease hypertension. In order to consume the daily requirement of leafy greens, you can eat baked kale chips, add a side dish of sautéed Swiss chard and garlic to your main meal, add vegetables in stews and curries, or make a salad of raw leafy greens. Fresh fish is one of the best sources of omega-3 fatty acids and lean protein. Salmon contains vitamin D, which has been reported to lower levels of blood pressure. You can replace trans and saturated fats like fried foods and fatty beef with a serving of salmon weekly. Just this simple swap once a week helps to reduce inflammation, lower arterial plaque buildup, and decrease triglycerides – all of these being the biggest contributors to heart disease. A piece of dark chocolate is effective in lowering high blood pressure. Studies have suggested that chocolate rich in cocoa can help to reduce high levels of blood pressure in individuals with prehypertension or hypertension. Make sure you select high quality chocolate, which includes at least 70% cocoa. Eat one square or a 1oz piece every day. A healthy diet and regular exercise can drastically decrease the risk of high blood pressure. Start including these six foods that help in lowering blood pressure to maintain a stable blood pressure. Other foods that lower blood pressure include various spices, herbs, lentils, nuts, oats and other vegetables and fruits. 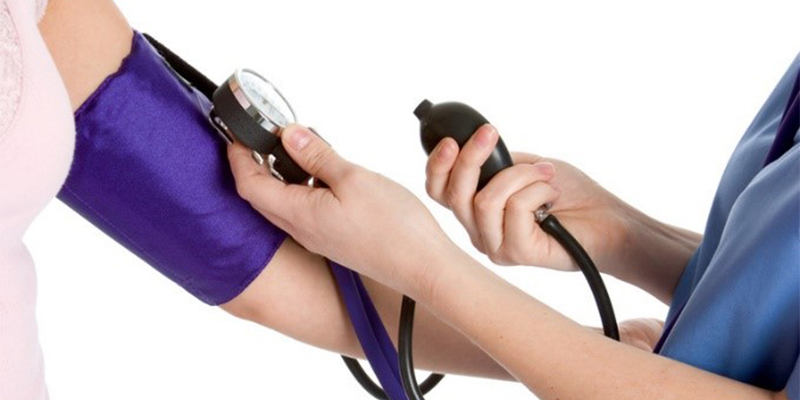 Make sure you consult your doctor in case of any doubts or for more health tips in reducing your blood pressure.